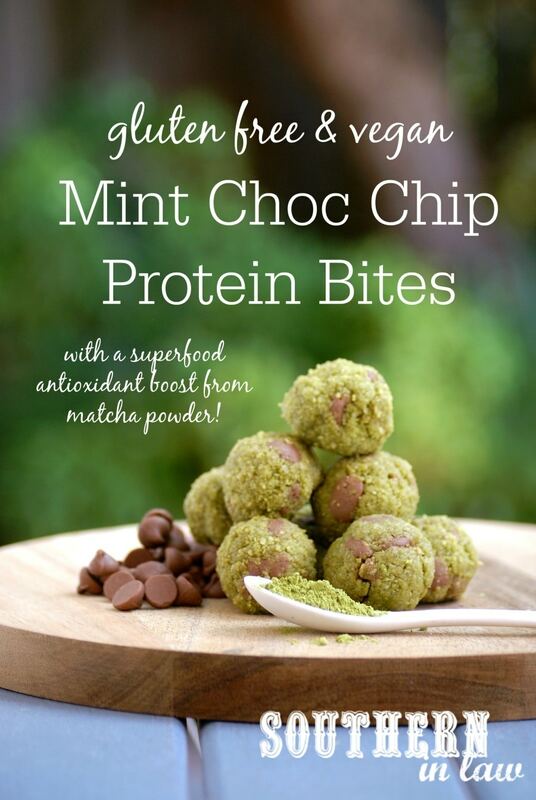 Kristy from Southern In Law has taken our Culinary Matcha Green Tea powder for a spin over the weekend and came up with a gluten free, vegan matcha treat which she has aptly named little love bites AKA “Matcha Mint Chocolate Chip Protein Bites”. These little treats are heavenly and are jam packed with health benefits associated our Matcha green tea powder related (yes I know, we’re super bias). 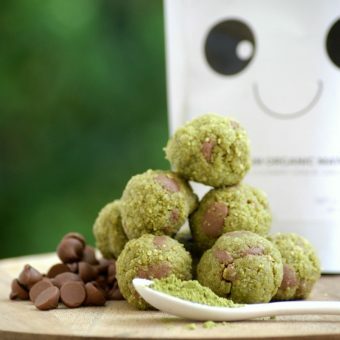 The taste of these little love bites can be described as being similar to eating mint chocolate chip ice cream though with the matcha as a core ingredient, you can say that its a clash between western and eastern culture, both coming together to have a party in your mouth. Of course, words can only portray so much, so its best to jump right in and make some yourself with the easy to follow recipe provided by Kristy. In a food processor, process your cashews until they resemble a fine powder. Add in your coconut and process for around 3 minutes or until fine and your mix starts to look a little like nut butter (we call this “butterising” but I don’t know if that’s a known/technical term haha!). Scrape down the edges. Add in your protein, matcha powder, maple syrup and peppermint extract and process until combined. Add a little bit of water as needed to bring your mix together. Add it only 1/2 a teaspoon at a time, only adding just as much as needed to avoid the mix getting sticky. The consistency is right when you can pick up a handful of the mix and squish it together to form a ball (it will be crumbly before that). Add your chocolate chips/chocolate to the food processor and pulse for a few seconds to break them up and disperse them through the mix. Roll your protein bites by grabbing a heaped tablespoon of mix and pressing/rolling it into a ball shape with your hands (alternatively, you can make bars by compacting your mix into a small baking tin and then chill and slice your bars). Enjoy immediately, chill in the fridge (these will keep for 1-2 weeks) or freeze to enjoy later.